Liverpool Boss Must Address Clique Culture If He Wants To Fix Broken Team. Roberto Soldado’s Champions League Goals Record Is Better Than Cristiano Ronaldo’s! 25 Glorious Photos Of WAGs With Epic Curves: Arsenal, Liverpool, Man United, Chelsea, Real Madrid & Barca Stunners Feature In Amazing Gallery. 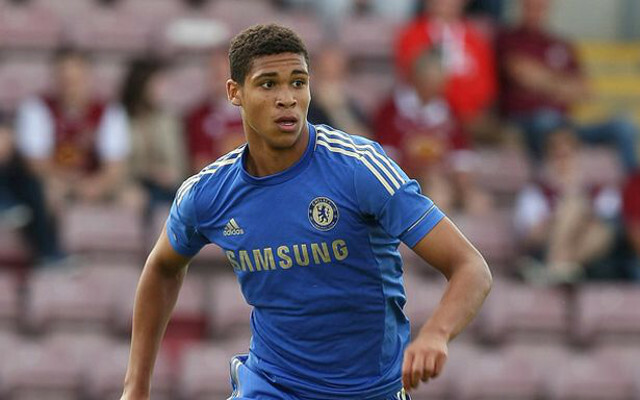 Chelsea handed a Champions League debut to 18-year-old midfielder Ruben Loftus-Cheek in Wednesday’s 3-1 win over Sporting Lisbon. A day later, Everton fielded no fewer than six young Englishman in their 1-0 defeat to FC Krasnodar in the Europa League. On the face of it, the fact that two major Premier League clubs were brave enough to give youth a chance in these European fixtures – meaningless matches though they were – is great news for English football. But take a closer look at the kids in question and it’s not all that great. Loftus-Cheek is a 6ft 4in monster, while most of Everton’s English youngsters were also fairly huge in stature. Of course, height and strength can be assets in football. However, England’s problem for too long has been that our football clubs have prioritised these physical attributes above technical skills, such as passing, dribbling and shooting. It seems that many English clubs – with their genuine homegrown talent at least – are still preferring to ‘teach the big lads to play’, rather than opting to nurture the smaller guys who were much more talented to start with. Of course, there are exceptions. Some young players are ‘lucky’ enough to be big and talented. Unfortunately, that did not appear to be the case with Everton’s crop of kids at Goodison Park, where the standard of passing was borderline horrendous. Everton’s most impressive youngster only lasted 10 minutes, before limping off with an injury. He was 5ft 8in Chelsea loanee Christian Atsu – a Ghana-born winger whose footballing education took place in the Netherlands and Portugal. Football has changed a lot in the past 20 years. The game – at the top level at least – has almost become a non-contact sport, so size is no longer that important. However, matches in the Football League – the biggest professional pyramid in the world – remain in the dark ages. Because the Football League is so big, English youth coaches tend to prepare young players for that level of competition – after all that is where they are most likely to end up. The problem with that is, as a nation, we are deliberately breeding players for League One and League Two, while the best players in the Premier League continue to be imported from countries where attitudes to the game are more developed. As a nation, we have to move with the times if we are to be competitive on the international stage again. Fans of clubs at the lower end of the Football League must to swallow their pride and ditch their love of strong tackles and early crosses to the big man. Furthermore, the FA must demand that referees in the lower leagues officiate games just as they would an international fixture. Ok, we invented the game, but it’s not ours anymore – it belongs to the world now. For the good of the Three Lions, our 92 clubs have to move with the times and conform to international conventions. First step, standardise the game across the entire English pyramid.